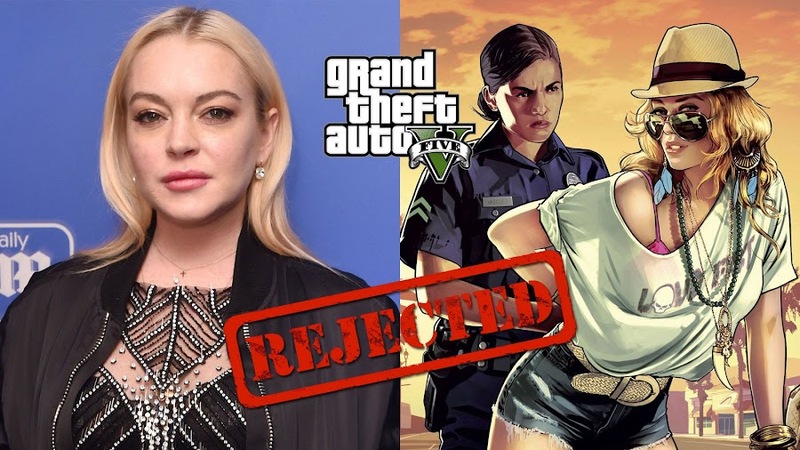 Problem celebrity Lindsay Lohan (Freaky Friday, Mean Girls)'s lawsuit against the developer studio of action-adventure video game Grand Theft Auto V; Take-Two Interactive has finally came to a conclusion. It was about unauthorized using of her likeness for a parody character in the game. Lohan’s civil claim regarding the issue about a game character "Lacey Jonas" against the developers finally ended in highest court of New York state. Take-Two Interactive has developed the character of Lacey Jonas for the purpose of appearing only in Grand Theft Auto V in-game event called "Escape Paparazzi". According to her back-story, Jonas had an overnight rise to fame which made her a focus for media and sensational magazines. All of which are very similar to Lohan’s troubled personal life. Initially, portrait s of Lacey Jones was heavily featured on promotional art for GTA 5, box covers and discs. When she took the matter to court back in 2014, publisher Rockstar Games claimed it a total publicity stunt on her part. The court however, gave her a motion for a dismissal in 2016 after it was thrown out initially and then the case moved forward with her claim. Now this was quite a victory on her favor considering her notorious status as a public figure lately. A judge of New York Supreme Court ruled out against Lohan’s claim against Take-Two. On March 29, the state’s appellate division has publicly stated the decision by the Court of Appeals. The subject in question was whether to take GTA 5 character Lacey Jonas as “portrait” of actress Lindsay Lohan under New York State’s privacy laws as she claimed that likeness of her portrait was featured in the promotional materials of the alleged title of Rockstar Games and they did it without her written consent of any kind. The ruling declared that "The portrayal of Lacey Jonas is a satirical depiction of a modern beach-going woman, which simply doesn't identifiable as complainant". Also in accords to Civil Rights Law sections 50 and 51, video character may bear resemblance to looks and persona from images or video footage. In other words, Lacey Jonas is not a direct portrayal of Lindsay Lohan, so she can't sue neither Take-Two Interactive nor Rockstar Games for it. Take-Two Interactive is a parent company for Rockstar Games, who are responsible for the creation of one of the best-selling video games of all time, Grand Theft Auto 5.